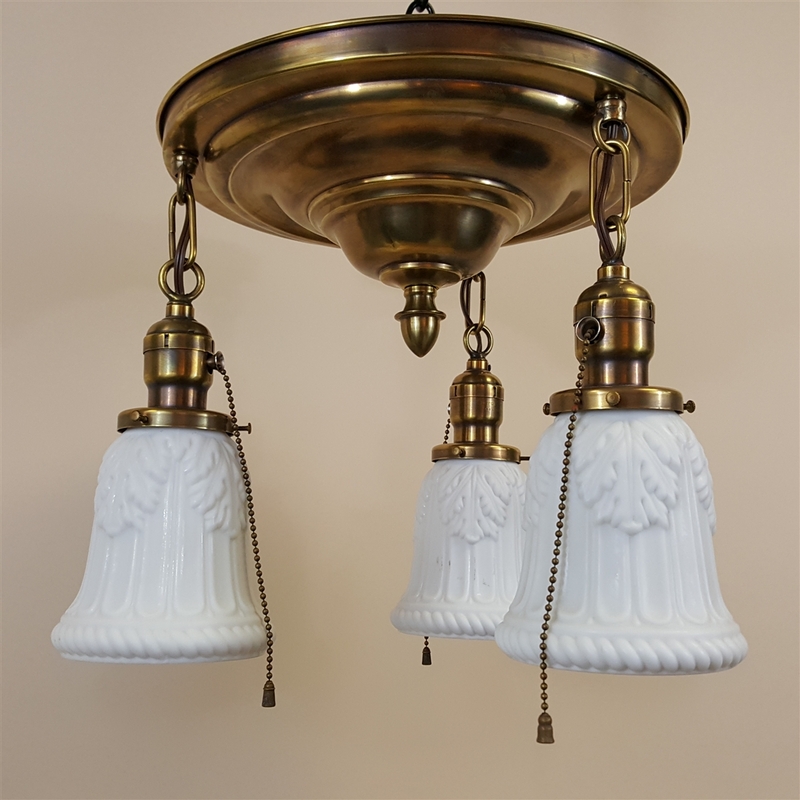 Early electric pan fixture with 3 antique milk glass shades. This light is shown in a light patina. Other finish options are available. Dimensions: The pan is 14" across and the shades hang down 12". Electrical: 3 Edison (e26) base bulbs each with a maximum of 60 watts.